THE WARRIORS technical team led by coach Sunday Chidzambga has said the players omitted from the provisional squad to face Congo Brazzaville later this month can still force their way into contention for a place in the squad for the Africa Cup of Nations (Afcon) if Zimbabwe qualifies. 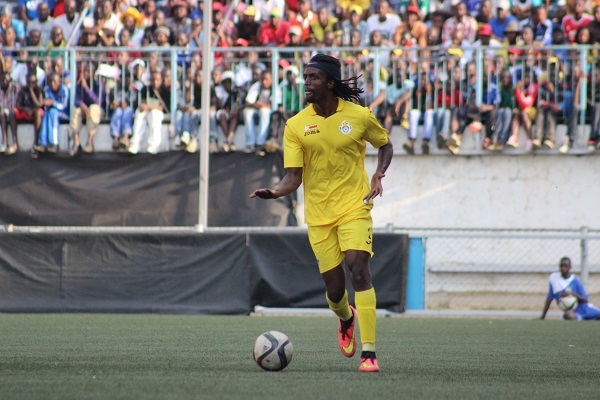 Chidzambga on Tuesday named his 28-man squad for the decisive clash set for the National Sports Stadium on March 24, where the Warriors need at least a draw to book a place at the finals this June in Egypt. There was no space for goalkeeper Elvis Chipezeze, who is in sparkling form for his South African league side Baroka FC. Instead, the veteran coach picked FC Platinum goal minder Petros Mhari together with George Chigova and Edmore Sibanda as his goalkeeping options. Costa Nhamoinesu, Nyasha Mushekwi and former Warriors skipper Willard Katsande were other high-profile omissions from the squad. All along, it had been touted that England-born stars Macauley Bonne and Adam Chicksen would be in line for selection in the latest squad as their papers are being processed, but the duo is once more on the outside looking in. Warriors manager Wellington Mupandare said the door remained open to welcome new players. "People should understand that this squad is for the Congo Brazzaville match, and as for the Afcon finals, if we qualify, everyone has a chance (to be selected)," he said. "There are a lot of things that the technical team considers when picking a squad for a particular match or tournament, and the coach believes that this squad will do the immediate job. There will be changes obviously if we qualify. There could be injuries and dip in form for some players, so changes will be there." It is the omission of Nhamoinesu from the squad that has raised eyebrows though, with reports suggesting that Chidzambga has completely shut the door on the Czech Republic-based star. The left-back, according to sources, is paying the heavy price for reportedly refusing to travel to South Africa with the rest of the team by road for the Cosafa Cup tournament last year. A huge fan favourite in the Warriors set-up, the dreadlocked star pulled out of the squad to Polokwane on the eleventh hour, citing an injury. It is alleged that Nhamoinesu, who had flown all the way from Europe for the tournament, only raised the injury card after he realised that the team was travelling by bus, something that reportedly riled Chidzambga and his technical bench. He has not been called to the national team ever since, missing out on the team's current Afcon campaign. But Mupandare said the defender, who played for the Warriors at the Afcon finals in Gabon two years ago, could still have a future in the team. "The last time I spoke with him, he had a shoulder injury, and he told me he has been playing under injections for his team," he said. "I understand he will have a surgery very soon, and that could possibly rule him out of contention for selection. The same with Nyasha, he is currently recovering from a surgery and we will keep tracking his recovery progress."